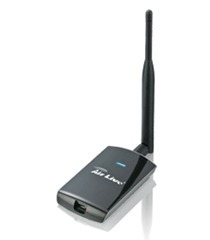 AirLive WN-380USB is a High-Power 802.11n USB Adapter with detachable antenna. It is designed to transfer data wirelessly over the longest possible distance. Update Time: 2011/8/22; Support Win2000, WinXP 32/64bit, Vista 32/64bit, Windows 7 32/64bit.